Absolutely stunning! 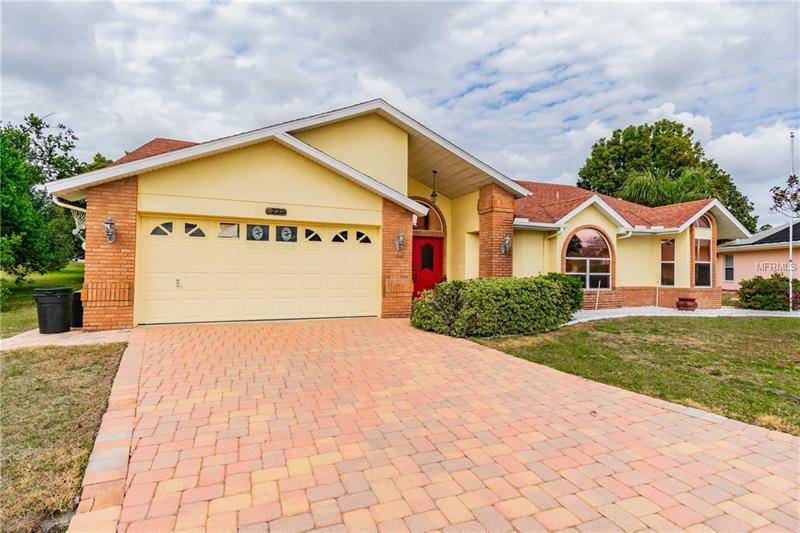 3 BR/2BA, pool home on a cul-de-sac in beautiful Seven Hills! Walk in to the oversized formal dining room w/ high vaulted ceilings & plenty of room for dining & relaxing, w/ laminate flooring throughout. The kitchen is bright & airy w/ large windows, high ceilings, & views of the pool area. Living room has a custom-built bar area w/ built in sink & cabinetry. The pool area is truly breath-taking, & no expense has been spared including an outdoor wet-bar w/ refrigerator, sink & plumbing. The pool is 15â X 30â Grecian style w/ solar heating, custom pavers thru-out, fully screened large pool enclosure & an addtl. pavered sun-deck/BBQ area. The master is large w/ his-&-hers sinks, soaking tub, separate shower, walk-in closet & matching custom tile. Truly a rare find!